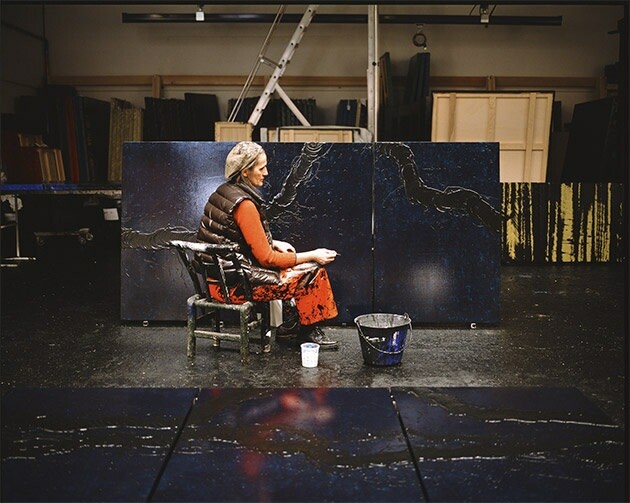 Fabienne Verdier’s exhibition ‘The experience of language’, opens 3 November at the Institut et Musée Voltaire. The exhibition coincides with the 50th anniversary edition of ‘Le Petit Robert’ dictionary. The experience of language not only shows how Voltaire worked, composing several dictionaries throughout his lifetime, but also how the artist Fabienne Verdier and Alain Rey, the lexicographer, have gone about mapping a creative path running through the contents of the ‘Le Petit Robert’ around word associations. The exhibition is designed to be a laboratory where the visitor can trace the journey of thought and form.